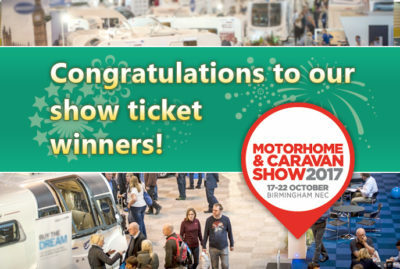 We can now reveal the winners of our giveaway competition to win tickets to the Motorhome and Caravan Show 2017 at Birmingham’s NEC this month. Thanks to the thousands who entered for a chance to win a pair of tickets to the leisure vehicle showcase from October 17th to 22nd. The show, gives caravanning and motorhome enthusiasts a fantastic opportunity to see the latest 2018 tourers, motorhomes, trailer tents, folding campers from the UK and beyond. 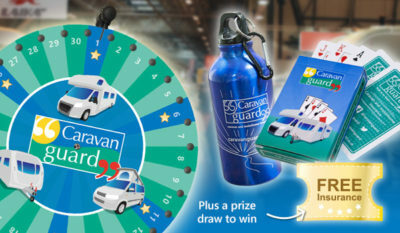 Plus, our team of friendly caravan and motorhome insurance advisers will be on stand 19-01, so why not drop by and have a go at our new spin the wheel competition and find out more about our show discounts.